Image: Mycoplasma bovis is a highly contagious disease affecting dairy cows worldwide. 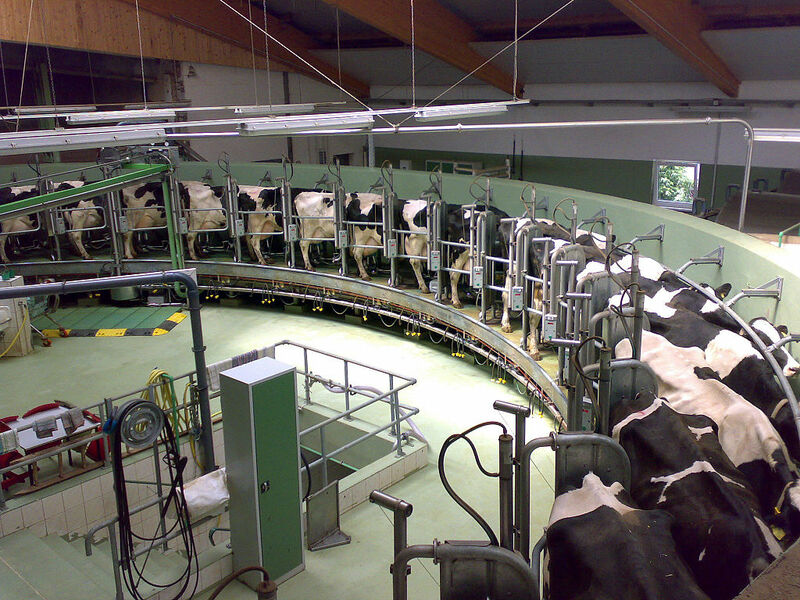 Rotary Milking Parlor by Gunnar Richter published under a BY-SA 3.0 attribution. New Zealand’s Ministry for Primary Industries (MPI) has called for a cull of all cows on 28 properties on the South Island, in a response to an outbreak of Mycoplasma bovis. The disease was initially detected late last year, with seven farms having already been ‘depopulated’, according to MPI’s response director Geoff Gwyn. “[After the initial cull] we halted further culling until we better understood the spread of the disease. We are now at that point where we have that understanding and can complete this work with confidence,” he said. This week, the MPI announced that a total of 28 farms have been classified as infected properties, will a collective herd of 22,000 cows to be culled. “This will be a big job and won’t happen overnight, but we’ll be meeting with the affected farmers in the coming days to discuss the operation, develop the plans and talk through compensation,” said Mr Gwyn. New Zealand’s dairy herd currently stands at 20 million cows. A small spike in heifer prices is foreseen as affected farmers restock their farms. The estimated cost of the current outbreak has been valued at $60 million. Mycoplasma bovis is a bacterium that affects cattle by inducing diseases including mastitis, arthritis, pneumonia, bovine respiratory disease and ultimately death. As well as the impact upon the cow, the effects of these diseases cause significant production losses through a lack of milk. The bacterium itself is resistant to antibiotics, seriously limiting treatment options. Although highly contagious amongst cattle, some cows can carry the bacteria but do not contract the disease – often the source of transmission between herds when cows are moved. Mycoplasma bovis cannot be contracted by humans and does not present a food safety risk. While Mycoplasma bovis does infect a limited number of Australian dairy herds, the local industry decided to manage the disease, rather than total eradication. “The latest estimates are that it affects about 0.6 per cent of Australia’s dairy herd,” said Associate Professor John House from the University of Sydney. “It would be extremely expensive to pursue eradication (in Australia) at this point. We’re more focused on learning more about it, and educating farmers and dairy farmers and advisers on what to look for”. “When people don’t know what to look for, that is how it spreads, and that’s the expensive part because you have to end up culling more stock,” he said.